Properties such as The James have recorded near double digit year-over-year rent growth due to the large disparity between rents in downtown and suburbs as renters desire higher-quality units near jobs. The James consists of studio, one-, two- and three-bedroom units averaging 731 square feet. LAKEWOOD, WA—The astronomical multifamily demand in the Puget Sound is reflective of, in part, a high number of new jobs and as a result, annual absorption of multifamily units has doubled. Furthermore, the increased rental demand also can be contributed to a number of regional obstacles preventing ownership in several neighborhoods. 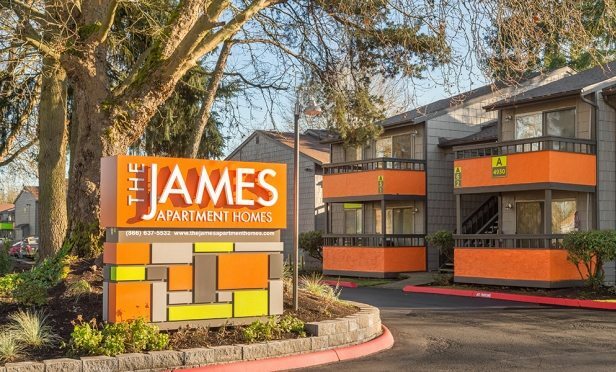 The congestion on Interstate 5, the centralized regional employment hub and the low supply of single-family homes has created a platform for elevated demand for rental units, according to JLL research.